Sophia, congratulations! I will be in touch. Thank you so much to all of you who came by to read the post and comment. It was a very popular post :) Many thanks to Regina Jeffers, for coming here to share the guest post and giveaway with us. It's a shame if you didn't win, but on the bright side, this book is available to buy right now, in quite a few different formats. Maybe you should treat yourself to it! Congratulations to you! I will be in touch. Thank you to everybody who took the time to read the post, and comment, thank you to Rita, the blog tour organiser and of course, thank you to Nicole for the lovely post and providing the giveaway! More info on the book, including the blub, can be found in the giveaway post. 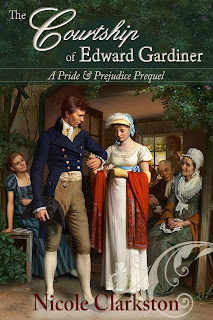 “When Colonel Fitzwilliam’s disclosures are interrupted by the bearer of distressing news from Longbourn, Miss Elizabeth Bennet is compelled to accept an offer she would have otherwise dismissed out of hand. An offer of marriage from the all-too-proud Mr Darcy. 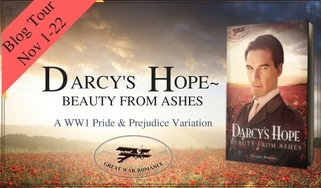 The blog tour for 'Darcy's Hope - Beauty from Ashes' drops by today. Author Ginger Monette's book moves 'Pride & Prejudice' to World War I. 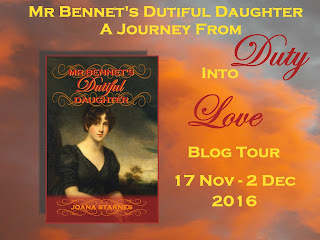 Read on to find out more about the book, and for a US / UK giveaway opportunity. I have such a treat for you today! 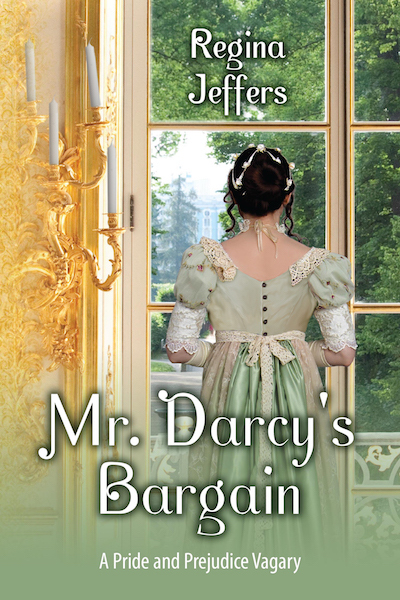 Regina Jeffers has dropped by with a very interesting guest post about a real-life conman, and how that is linked to her new book, 'Mr Darcy's Bargain'. There is also an excerpt from the book, and a chance to win an ebook of it. It's win, win, win today :) So without further ado, let me pass over to Regina. Today I am pleased to welcome author Nicole Clarkston to the blog as part of the blog tour for her new book. The book focuses on Uncle Gardiner and his courtship, which of course takes place before the events of 'Pride & Prejudice', as by the time we meet him he is a married father of four. 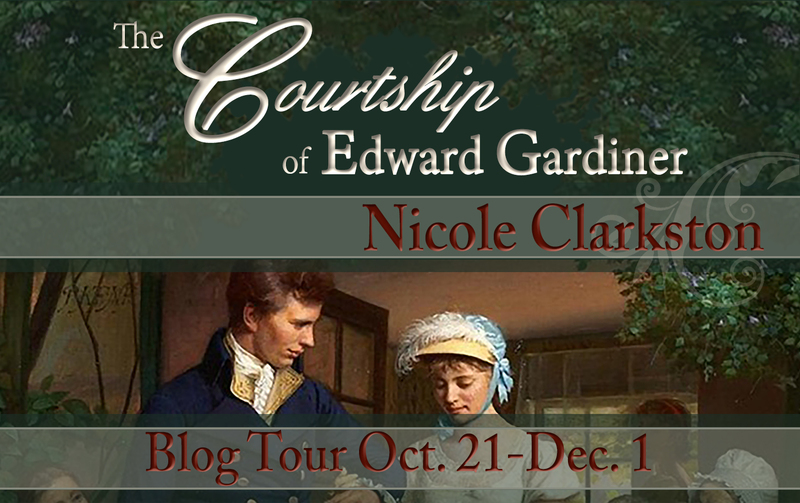 I will share the blurb of the book with you and than hand over to Nicole for a wonderful guest post featuring Lady Catherine de Bourgh, and what she did after she left Pemberley and Lambton. Read on for more details and a chance to win a copy of the book! Today I am joining with some of my favourite bloggers to reveal the cover of Joana Starnes' latest book, 'Mr Bennet's Dutiful Daughter'. 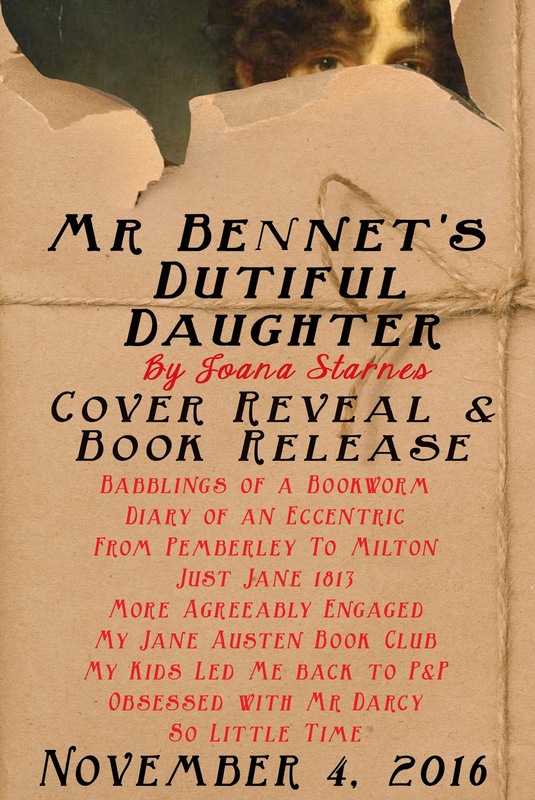 You might wonder from that title which of Mr Bennet's daughters has deserved that monicker and why. 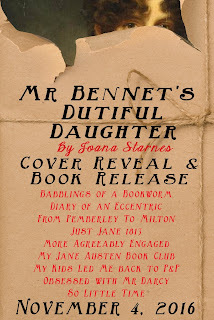 Read on to see the cover and find out more about it, read the book description and to see the wonderful giveaway that Joana is offering to celebrate the launch of this book! Hello everybody! I hope you are well and had a suitably spooky day yesterday. I had such a busy month in October, worst one yet! I started a new job and then promptly got a cold that lingered for ages so I spent many evenings zonked out on the sofa instead of being able to read lovely books. I really feel the title of this post is a misnomer, because instead of telling you about what I plan to read, instead I am mainly going to tell you about all the lovely visitors I have lined up for November.